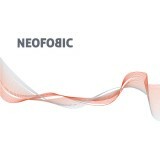 NEOFOBIC is the latest projects and CD by Dimitar Bodurov (piano, live electronics) and Jens Dueppe (drums and percussion). Their debut took place at the Keys and Stix Festival 2008. Since then they have developed an organic unity of exclusively improvised material with solid acoustic ground and vivid live sampling. The music morphs between serene ambient and abstract jazz scenes. Erik Honoré best know for his close collaboration on productions of Jon Hassell, Arve Henriksen, Eivind Aarset, David Sylvian, Sidsel Endresen mixed the 9 tracks of Neofobic. The final mastering touch had the audio wizard Helge Sten ( Deathprod , Supersilent). The album will be released digitally by Gubemusic.com, an online label owned by the celebrated Norwegian pianist/producer Bugge Wesseltoft.